On any given night you can find them playing “Callin Baton Rouge,” a country classic, and moving right on to “Pour Some Sugar On Me,” a rock power anthem, and then seamlessly glide into the most recent XM Radio hit. By the end of the night, one can expect to hear perennial favorites Zac Brown, AC/DC and Sir Mix-A-Lot—or something completely different! No genre is off limits, no era is untouched, no hit is out of reach! The Rude Band plays an almost non-stop, four-hour show, with only one break. 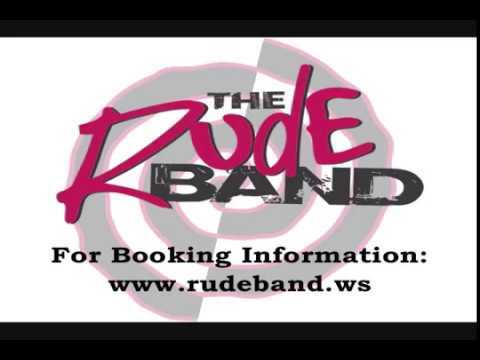 Since 1991, The Rude Band has been packing bars, ballrooms, street dances, private parties, colleges and fairs. If you haven’t seen The Rude Band, what are you waiting for? Party: hard, long, and beyond your wildest expectations! We have had these guys play for 2 private parties, one had about 100 in attendance the other 200+. They are completely awesome to work with...easy, timely, and a great hit with all. They can play almost anywhere and get connected to the crowd...depending on what you want, what the crowd's up for, any and all types of music are possible--except maybe ballroom dancing, but we didn't want any of that crap! They play classic Rock and Roll (which is awesome), country, and current hits....something for everyone! We can't WAIT to have them again. Well worth the money! We've had 2 memorable parties that everyone continues to talk about---flying in on a hoist is something you don't see everyday! Thanks guys!!!!!!!! A Great Time with the Rude Band! Bring your dancing shoes! The Rude Band is a local favorite and we highly recomend them for any gathering - Thanks for a great time! I saw these guys at the Thirsty Duck in Sioux Falls in Nov and they did a pretty good job. Thanks guys! High energy, with a huge repertoire! We were pleasantly surprised the first time we booked the Rude Band! A great group, talented and total professionals to work with. We have booked them several times since!! The Rude Band played Saturday night at the South Dakota State Fair in the Midway Roadhouse. They lit up the Midway Roadhouse. Our goal by bringing in top notch entertainment like The Rude Band was to put the Midway Roadhouse on the map during the fair. We wanted to bring some of the crowd from the Beer Garden to the Midway Roadhouse but still give those people the Beer Garden feel. The Rude Band helped to more than accomplish that. On any given night you can find them playing “Callin Baton Rouge,” a country classic, and moving right on to “Pour Some Sugar On Me,” a rock power anthem, and then seamlessly glide into the most recent XM Radio hit. Not too long after that, it’s a non-stop dance marathon that includes 80’s and 90’s one-hit wonders, the newest dance club favorites and then “substitute the most recent hip-hop or rap hit here.” At the end of the night, one can expect to hear perennial favorites Zac Brown, AC/DC and Sir Mix-A-Lot—or something completely different! The Rude Band’s song list is one of the most varied in the business and people love it. If you walked in off the street and heard them for the first time playing just one country, rock or dance hit, you could easily assume that they were born to play that kind of music and then get completely thrown when the next song is so absolutely different from the last. Chalk it up to genius or simply ADD, you never know exactly what you’re going to hear when you go to a Rude Band show, but you know it’s going to be fun! The Rude Band plays an almost non-stop, four-hour show, with only one break. By the end of the night you may be breathless and wondering if you should start working out. 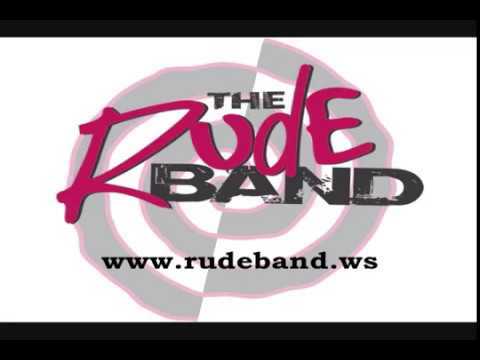 Since 1991, The Rude Band has been packing bars, ballrooms, street dances, private parties, colleges and fairs. With their concert quality sound and lighting production, there’s not many acts that can touch their quality and entertainment value. And, it’s just really hard to believe that they can be so good! •	The Rude Band plays a 4 hour show. •	The Rude Band takes only one 30 minute break. •	The Rude Band plays every kind of music. •	The Rude Band takes requests . -100Amps of 240Volt Single Phase Power should be within 75ft of the stage. -When Sound Reinforcement is provided by the venue, The Rude Band will mix sound through their own Avid Profile Console and will provide the house with either a Left/Right Send or a Left/Right+Mono Sub Send. We play songs people like. The list of influences would be endless. The Rude Band carries all required audio & lighting equipment.